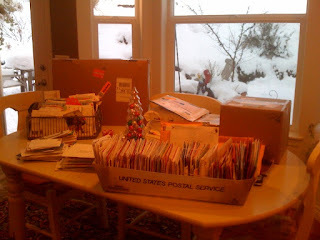 A big thank you to everyone for sending cards and gifts to Kyle & Nicolas (along with fans of Kyle’s Blog and readers from The Bellingham Herald). Here’s a pile of the mail that they received on Saturday. Thank you! Previous Post: It’s Snowing … again! ?